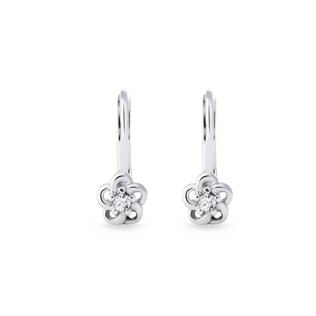 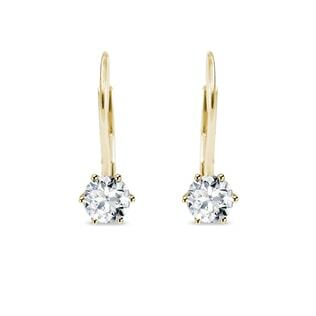 Cubic zirconia earrings give off flashes of elegant, luxurious brilliance at a fraction of the cost of diamonds. This makes them the perfect choice for children and those that want the high-end look of diamonds without the pressure of upkeep. We offer a wide selection of earrings with sparkling cubic zirconia stones in only the highest quality of gold and silver settings, so your new earrings are sure to keep their sparkle, shine, and elegance for years to come!